Whenever there is a certification connected to an association’s membership, it is likely that members have needed to challenge their College’s exam to use said title in their professional practice. In association management companies (AMCs), the association coordinator is tasked with organizing and planning the certification exams. This task may seem like a colossal undertaking for one person, especially if there are exam sites across the country, but with the help of a well-documented execution plan, it is bound to be a success. 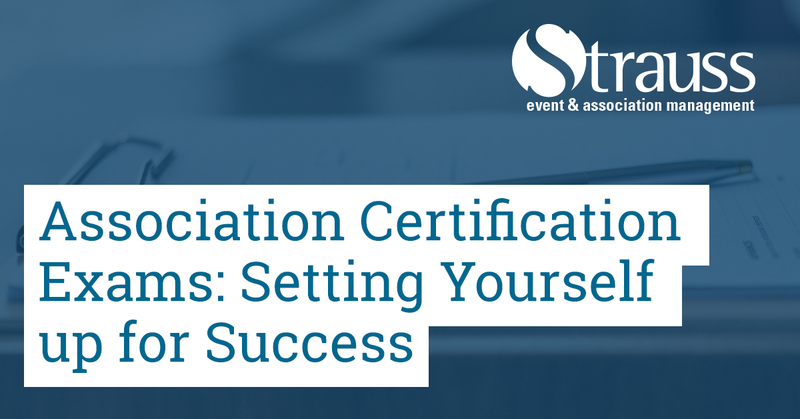 Creating and sticking to strict deadlines and timelines is crucial for organizing a well-orchestrated certification exam. By incorporating a mapped-out schedule into the execution plan, all the planning information needed for the exam will be in one document. With experience, you’ll get to know the timelines that work for your association or college; below are some guidelines for planning. Cues for action will naturally be inserted into a well-thought-out execution plan. When creating a plan for an exam, always keep in mind the importance of properly documenting tasks; this ensures that the processes remain consistent from sitting to sitting and that the next step is always clear. Cues for action and task instructions will flow from one to another throughout your plan once you’ve nailed down a solid routine. Listed below are some examples of cues for action, followed by their task instructions. Now that an all-inclusive certification exam execution plan has been created, the exam should go off without a hitch! By creating this plan, you’ll be ensuring continuity and consistency within the association when it comes to processes, tasks and instructions for all aspects of their certification exam. When the steps are clear and easy to follow, the association coordinator will be able to organize their certification exam with confidence and clarity. This will, in turn, give association members peace of mind that their organization is being diligently managed and that they can trust that qualified professionals are being introduced into their profession after passing a well-run certification exam.